The Simpsons Coalport Ceramics – Mush! From the classy shores of England come these equally-classy ceramic sculptures. 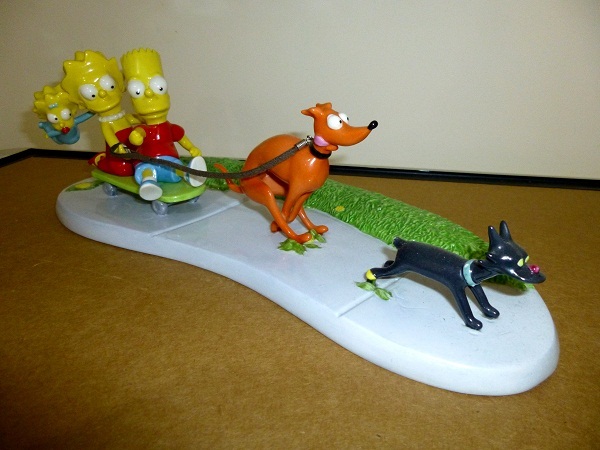 Coalport Porcelain Works produced a limited run of a series of spectacular figures featuring The Simpsons along with other popular Springfieldians. This one is titled “Mush!”, and it sits in a place of prominence among my collection. They don’t come cheap however, and prices are only likely to go higher. At the moment the prices can vary by up to $50, so don’t rush into buying one. Shop around first. Mine is number 279 from a worldwide run of 4,000. Unfortunately, Snowball’s tail broke off when I dropped something onto it. I’ll glue it back on. Eventually. 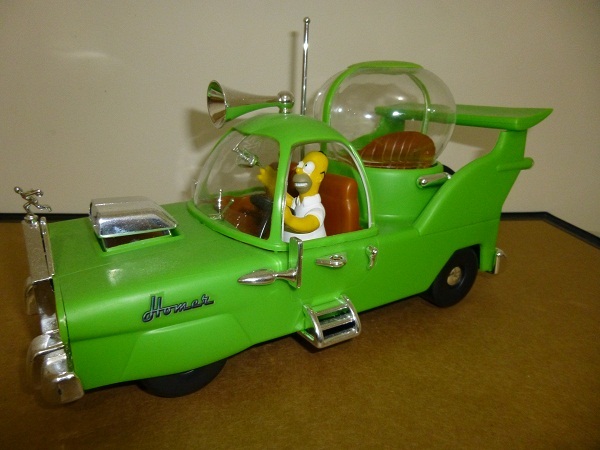 Straight out of the second-season episode, “Oh Brother, Where Art Thou?”, this snap-together model kit from Polar Lights lets you build the car Homer designed (and cleverly named The Homer), which ultimately sent his half-brother Herb bankrupt. It comes complete with tail fins, a separate sound-proof bubble dome for the kids, one of those little balls on the antenna to help you find it in a parking lot, and a horn that plays La Cucaracha – you know, if it wasn’t plastic.